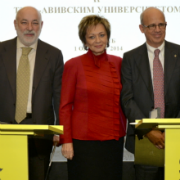 Over 100 people witnessed the official launch of the new Kazakhstan Friends of Tel Aviv University. 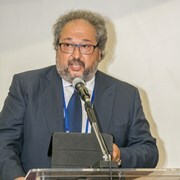 Amongst those attending were Chairman of the TAU Board of Governors Prof. Jacob A. Frenkel, TAU President Joseph Klafter, TAU Vice President for Resource Development Amos Elad, Israeli Ambassador to the Republic of Kazakhstan Michael Brodsky, government ministers and heads of Kazakhstani universities. 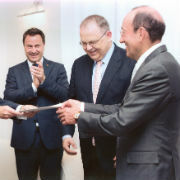 During the inauguration ceremony, Founding President of the Kazakhstani Friends TAU Governor Dr. Alexander Mashkevitch was recognized for his outstanding efforts to open new avenues of cooperation and support for the University. During his visit, Prof. Klafter signed cooperation agreements with leading academic institutions, and acted as keynote speaker of the Eurasian Higher Education Forum where he outlined the TAU model for fostering innovation and entrepreneurship. The TAU delegation also met with leaders of the local Jewish community and attended a private dinner hosted by Dr. Mashkevitch.